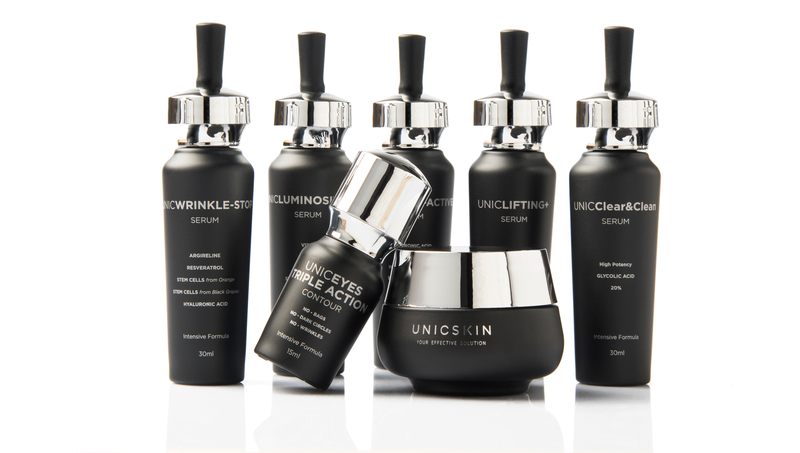 Through its different combinations (serums, creams, masks) can offer unique solutions for every need. A name that evokes the ability to personalize the brand. A clean, elegant, modern, simple and unisex visual identity. Identity that reinforces UNICSKIN’s own values. Simplicity and personalization are fundamental pillars. But above all, efficiency. You have to get obvious results. The tagline speaks of the commitment of the brand.